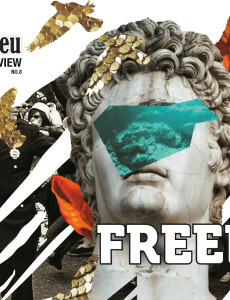 The eighth issue of 4liberty.eu Review focuses on personal freedoms and discusses the topic from various perspectives, including: freedom of the press, paternalism, social media, religious freedom, among others. The point of view is, as always, Central and Eastern European. It is our job to ensure not only that our personal freedoms are respected by others, but also that we ourselves know their value and power. Therefore, we felt that it is our responsibility to devote the 8th issue of 4liberty.eu Review to personal freedoms in the region. No matter which region of the world we look at, personal freedoms are under assault, be it by the government or by fellow citizens. As such, the government may repress the opposition, journalists, and civil society activists with unlawful imprisonments, torture, and disappearances. The surge to prominence of extreme right-wing beliefs has become a sign of our times. It only takes a glance at a comparative analysis of election results and how they changed over the last decade in many Western countries. Official censorship existed in Poland from 1944 throughout the whole communist period. It was dissolved in April 1990 – nearly a year after the first partially free election since the World War II. Freedom of speech is one of the major civil rights in Poland, like in every other country of the Western, democratic world. The rule of law is an “essential guardian of freedom,” as emphasized by Fred McMahon, from the Fraser Institute, in the Foreword to the most recent edition of the Human Freedom Index.6 The rule of law is also an important element of a sound democracy. For twenty-three years, Bosnia and Herzegovina has managed to exist and in the last few years more and more authors and researchers acknowledge that its complexity and decentralization are the main reason why Bosnia and Herzegovina survives as a state, satisfying the needs of political elites.